Joining a band to play gigs or record demos is always a great thing for girls to do. But there is also a lot of fun and joy to be had from carrying a guitar case around. 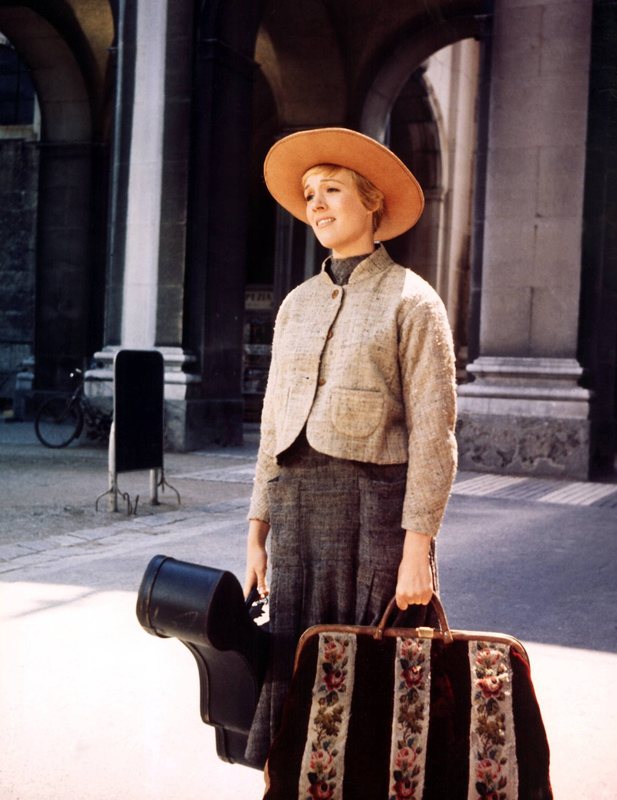 I don’t mean those padded gig bags that fit on your back like a giraffe rucksack – although girls can look cute and hippy-ish with one strapped to their back. These bags tend to go hand in hand with PROPER GUITAR LESSONS. Nor do I mean looking like a churchy accompanist, or a modern day Maria Von Trapp. Also too posh and earnest. No, what I liked was to dress in black and carry a battered old black guitar case around. Mainly to gigs and rehearsals; on the bus, the train, walking down the street. 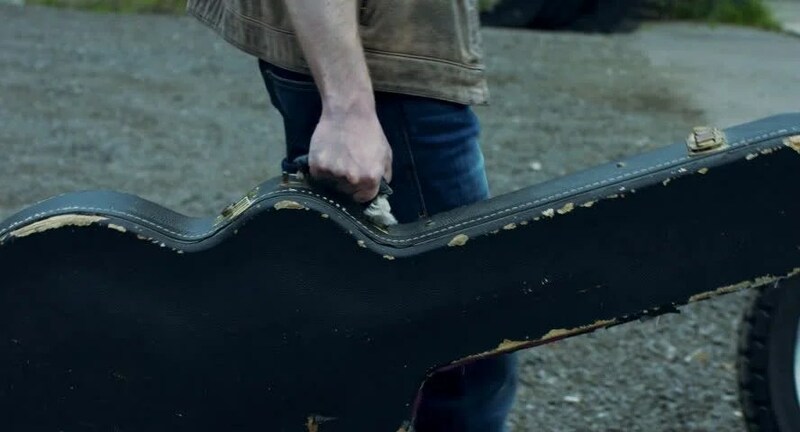 When you carry a guitar case like that, people start conversations with you, ask questions, show interest. Or if they don’t, they’re probably a little bit impressed. I would recommend it – male or female – just try a day carrying a guitar case around and so many people will talk to you. You don’t even need a guitar in there, because, you know, guitars can be bloody heavy to cart around. 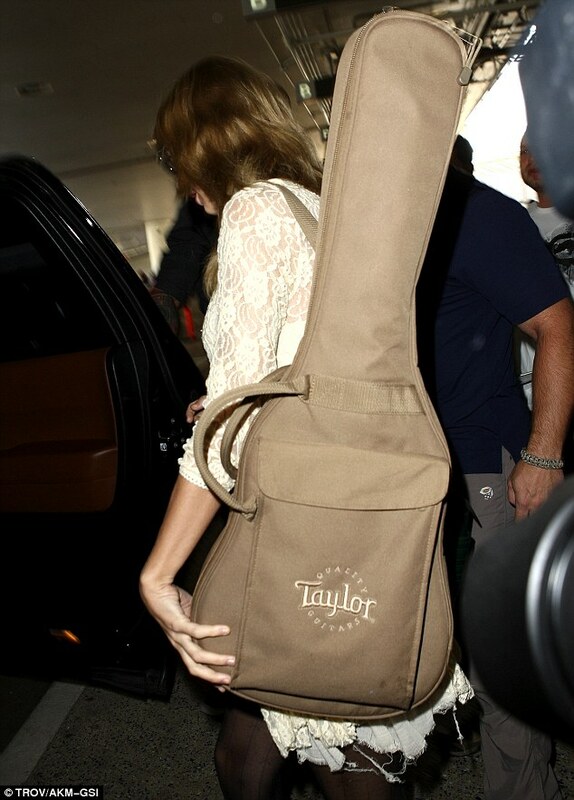 Interestingly, on the Internet, there are no pictures of anyone famous carrying a guitar case, apart from Taylor Swift (see above). I wanted a spunky picture of Chrissie Hynde with a guitar case, but this was all I could find – it’s not Chrissie Hynde, or even a female, or even a cool guitar case. I’ve never worked out whether I like guitar-shaped or rectangular cases best. Although it often depends on what kind of guitar you play, I think the rectangle ones look the business. Like this 1958 Fender telecaster case that I now have a replica of. Last week, as I left my band rehearsal, coaxing the aforementioned Fender case down the fire escape stairs, I was greeted by a group of teenage girls who were waiting for an up-and-coming boy band to emerge from the studio. “Why don’t you learn to play?” I said. It’s much more fun playing in a band than just waiting around for the boys. And I swung the case purposefully as I walked off.